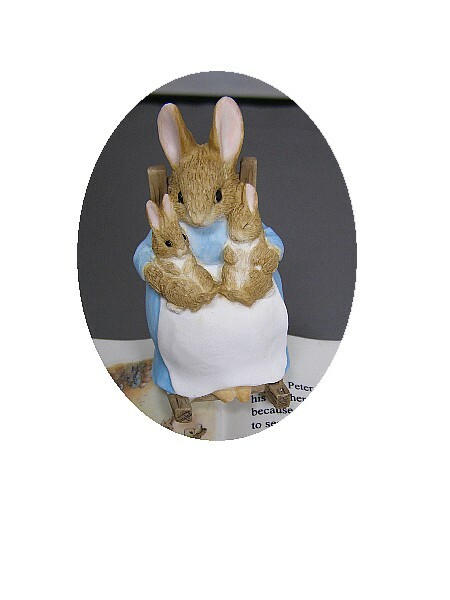 Beatrix Potter Music Box,The Tale Of Benjamin Bunny. 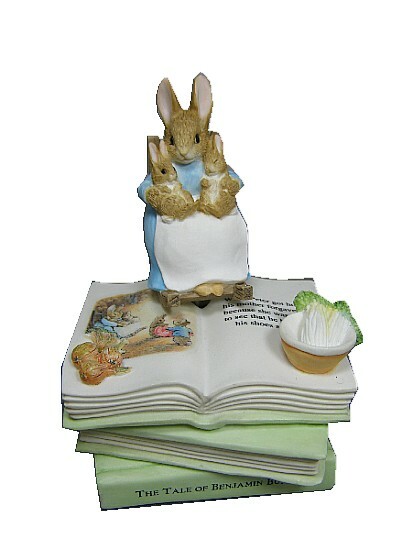 Mrs. Rabbit with Babies Figurine. 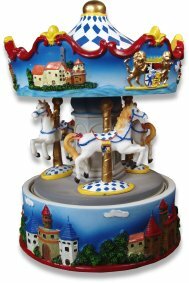 This is a Mrs. Rabbit with Babies musical figurine fitted with a clockwork music box movement. 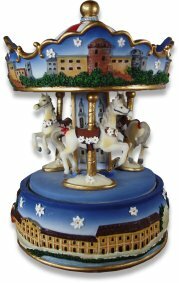 The clockwork movement is wound from underneath of the figurine.